As the summer holidays draw near in many parts of the world, parents shouldn’t be surprised if kids choose to fill their days with technology. After all, teens and tweens are now spending more hours on their devices – iPads, phones and computers – than they are asleep. Anxious parents will point out how bad this technology obsession is for young people. Too much screen time has been linked to falling grades, impeded social interaction and a lack of exercise. But there’s a flip side. Several studies support technology’s positive influence on young users. It offers exciting opportunities for learning and can strengthen interpersonal relationships. In the same way that some food is healthy and some has no nutritional benefits, some apps are low in mental fibre. Based on my own research into how students learn with technology, here’s a guide to getting rid of “junk” apps and ensuring your tweens and teens develop healthy tech habits both in term time and during the school holidays. The key lies in shifting kids from using apps that make them passive content consumers to those where they are active content producers. Encouraging the use of activating apps can help children to develop a wide range of 21st century skills like collaboration, creativity, critical thinking, and problem solving. Before I look at apps that will actively engage kids during school holidays, here are the “apps” you should immediately delete from their lives. Once these “apps” are deleted, here’s a selection of apps that will not only engage your kids, but help them develop important skills. I’ve selected a few iOS, Android, and Web-based apps (accessible through a browser on any device). The full list is available here. I’ve grouped these according to the skills they will develop. Curation: Curation apps help kids to develop key skills such as reading, categorising and organising. Pinterest (iOS, Android, Web): This popular visual pinboard is great for creating collections of images. How about a pinboard of Disney characters? Learning Lab (Web): This site, created by the Smithsonian museum, allows kids to curate museum artefacts. List.ly (Web): Create fun, shareable lists of websites, videos and more from the web. How about starting with a list of all of the places you want to visit? Conversation: There’s a shift from learning through content consumption to learning through conversation around content in online spaces. Conversation-based apps provide opportunities to debate, discuss and enrich relationships. Maily (iOS/Android): A parent-controlled app that allows kids to create fun messages with drawings and text. Playkids Talk (Android): This instant messaging app is for primary school kids. With parental permission kids can send instant messages including photos, voice recordings and graphics to one another. Correction: Research shows that one of the most effective ways to learn is through mistakes. Technology allows us to easily experiment, make mistakes and learn through correction. Scribblenauts (iOS/Android): Lets kids bring any object to life simply by typing its name. These objects are then used to solve fun problems. Kahoot! (Web/iOS/Android): A gamified take on quizzes that makes learning – and mistakes – lots of fun. You can create your own quiz or try one of the thousands already created. This is a great way to get a group of kids (and adults) learning and laughing together. Creation: Creating content develops key skills such as logic, creative thinking and problem solving. Book Creator (Android and iOS) allows kids to create their own books using their own photos, videos and so on. The final book can even be published to the Google Play store or iBooks. Monster Physics (iOS): Lets kids build working contraptions using a range of parts like wheels, rockets and magnets. Once the contraption is built kids can test it to see how it works. Scratch (Web, iOS, Android): One of the most powerful ways to teach kids creative thinking and logic is through programming. MIT’s Scratch environment is designed to let kids learn to programme in an easy, fun way. Chaos: Learning to make sense of too much information, missing information, and conflicting information is a skill children increasingly need to develop in our content-excessive world. Word clouds (Web) are a great way to distil large amounts of text into fascinating visual representations. Worditout allows kids to easily create a word cloud from any piece of text. How about creating a word cloud of the news, or a famous speech? Mindmaps are useful to help organise your thinking. Corkulous (iOS provides a fun corkboard spin on this concept for kids. Sometimes kids can be overwhelmed or bored by content but always enjoy cartoons. Rather than reading or watching them, let your kids create cartoons with toondoo.com or animations with Powtoon.com. How about asking them to create a cartoon that summarises their year? No matter which apps your kids choose, it’s important to keep track of their use. Research suggests that screen time should be limited, whether young users are consuming “junk” apps or learning while they swipe. OurPact is a great tool to automate this process. It allows parents to set usage schedules or turn off a device at any time. We continue our myth series that explores dangerous education technology myths. You can read Myth 1 here. Each of these myths are commonly held beliefs that have huge implications on how we approach teaching with technology. Like all myths, this myth also seems, on face value, to be both true and innocuous. However, this is exactly why the myth is so dangerous. I often come across teachers and school management who extol the benefits of their edtech tools using words like - “Time is freed up”, “convenience”, “ease of handling”, “efficient way of collecting and storing information” and “immediate access”. In fact, these are the same benefits you will find touted by LMS vendors. Take a look at the following list of features of the popular LMS, Blackboard. The vast majority of the features are around management and efficiencies. These "features" point to an underlying perspective that many teachers and software vendors have about the goal of technology in the classroom - improving efficiency. In fact this same perspective also pervades students' perceptions. A research project just completed by one of my students, found that 92% of students listed technology providing “improved access to information” as a key reason for using it for learning. And so it is no surprise that we readily believe the statement - We need to use technology to make our teaching more efficient. After all, who doesn't want to save time and make things more efficient? Efficiencies are great for business and industry, but is this what we are seeking when it comes to education? British educationist and author Sir Ken Robinson has famously called on schools to abandon the efficiency-driven, industrial paradigm and move to a new approach to education. Increasingly we are seeing teachers advocating a new era in education that celebrates diversity, opportunities and innovation. However, most of us are simply using technology to reinforce the old industrial approaches rather than revolutionising the classroom. Pursuing efficiencies to get students through more content, faster and with less effort, is the wrong objective. Our focus should be on effective rather than efficient teaching. Technology is not just about computerising existing processes – it is about rethinking ways to teach and learn. By pursuing efficiency objectives we simply reinforce our old, outdated, industrial approaches to teaching. We are simply attempting to speed up and automate these old processes. This dangerous agenda is pushed by many vendors because it makes for a good sell. "We can make your job easier", "We can save you time", etc. However, education is more than this. It needs us to reinvent, redesign, and reimagine how we are teaching the modern generation. Technology brings with it many exciting opportunities. The most successful modern businesses, who are driven by efficiency agendas, have also realised this. They've realised the need to move beyond simple efficiencies to reinventing how they do business. This has given rise to innovative businesses like Uber who have disrupted the transport industry, Twitter who have disrupted the news industry, and Whatsapp who have disrupted the communication industry. It is only when we begin to let go of our outdated, industrial paradigms and see technology, not simply as a tool for improving efficiencies, but as a tool to open up new way of teaching and learning, that we will truly begin to realise the benefits of technology in the classroom. It's then that we will start to see the Uber Classrooms appear - and that will be very exciting. A myth, according to the online dictionary is "a widely held but false belief or idea". Busting myths was made popular by the TV show "Myth Busters". However, myths continue to circulate and are readily accepted and believed, and we as teachers are not exempt. In this EdTech Myth Busting series I will share with you some commonly believed myths that are not only false, but can, and have resulted in some costly failures when it comes to education technology. It seems quite reasonable, and I've heard it said many times that if we train teachers to use technology the result will be better teaching. So, what's wrong with this belief? It lies in the phrase "training teachers how to use technology". Training a teacher how to use technology is not the same as training a teacher how to teach with technology. At first glance, this may seem like a trivial difference, but it's a golf swing difference - where a seemingly small error on tee-off results in missing the green by far and having to search for your lost ball in a pond! Training a teacher to use an iPad, or to use Google Docs, or to use a Smartboard does not mean they know how to teach with this technology. I could be trained how to use all the controls in a plane, but that does not mean I could fly the plane. And herein lies the danger. All too often schools send teachers on courses that train them how to use technology, and assume this will result in effective teaching with technology. Believing this myth is part of the reason why we are seeing so many failed attempts at implementing technology in the classroom. It is not simply knowing how to use technology that is important, in fact it is not even knowing how to teach with technology that we need - it is knowing how to teach effectively with technology. If teachers are not shown how to apply an appropriate digital-age pedagogy to their teaching how can we expect our results to be anything better than hit-and-miss. Don't believe the myth that simply being trained to use technology will result in effective teaching with technology. We need our teachers to be trained in the use of a guiding pedagogy that will show them how to teach effectively with technology! That's one myth busted. Look out for the next Edtech myth...and don't forget to share this with others, because it's up to us to stop the spread of this dangerous myth! Is your teaching a modern form of "Bloodletting"? Bloodletting is an ancient practice where doctors would cut people to let blood out of them in the hope that this would lead to some type of cure. We may now laugh at this archaic treatment, but for centuries it was the approach that "modern" doctors thought worked. Imagine having a sore throat and the doctor says, "Don't worry, I will fix you in no time," as he reaches for the scalpel or a bowl of leaches! This is exactly what happened to George Washington...yes, THE George Washington, America's first president. On December 13, 1799 George woke up with a sore throat and was treated with bloodletting where doctors drained an estimated 5-7 pints (3-4 litres) of blood in less that 16 hours. Unsurprisingly he died a few days later! What does this crazy approach to health care have to do with how you are teaching? Well, according to Nobel laureate and Stanford professor Carl Wieman, how we teach today is the educational equivalent of this archaic, painful, and useless treatment. In an interview with NPR, Wieman discusses how the approach we are currently using for teaching is not only ineffective, it is detrimental to learning. For years Carl Wieman has been unsatisfied with the traditional "talk-and-chalk" or "sage-on-the-stage" approach, and has experimented with using active learning in his classroom. Prof. Wieman would give a lecture then a few minutes later he would test the students knowledge with a multiple choice test. The result? Most of the time "only 10 percent would actually remember the answer. A lot of them are asleep, or lost, and I don't know whether they're getting anything out of it. If I'm standing up there talking at them, I have no clue what they're absorbing and not absorbing." Seeing such poor results, Prof. Wieman dumped this ineffective, "bloodletting" and switched to using active learning approaches in his classroom. His students are now often found in small groups actively discussing the course content while he walks around the classroom helping guide their learning. ​Now that his students are actively involved in the learning process, as opposed to being passive consumers, not only are they more engaged, but he is better able to see what they understand and what is causing them problems. As a scientist and experimentalist, his work as a professor in both Stanford's physics department and its graduate school of education is driven by data. As such Prof Wieman was determined to measure what impact his teaching approaches are having on his classes. The results, which have been published in several journals and science publications, are astounding. Failure rates have dropped by as much as 12% on courses that involve active learning and test performance increased by 50%. These results are so astounding that Prof Wieman argues that it is "almost unethical to teach undergraduates any other way". Listen to the interview with Cal Wieman below. Why is everyone not using Active Learning? With such compelling evidence, it seems strange that everyone is not using active learning techniques in their classrooms. Why is this? ​Well, beyond the obvious, that some teachers might not want to change - because change is uncomfortable and invariably requires effort, there is another important reason. Dan Schwartz, who is the dean of Stanford's Graduate School of Education puts the problem of poor adoption of this effective approach down to a "mountain of goo". There is no doubt that the research points to the fact that as teachers we should be using active learning approaches in our classrooms. Add to this the exciting opportunities that technology brings, and we should be seeing huge innovations in how we teach. The era of bloodletting is far behind us, yet somehow while medicine has advanced it seems in many ways teaching has not. However, without an "easy way...to implement" this as Dan Schwartz points out, moving from our old approach to a new more effective approach is going to be difficult for all but the very brave. The Activated Classroom Teaching (ACT) approach is an "easy way...to implement" active learning approaches with technology in the classroom. This research-backed approach focuses on pedagogy before technology and guides teachers in how to effectively use technology in the classroom in a new and innovative ways. Rather than simply tell teachers that active learning is powerful, or tell teachers that we should be using technology in new ways, the ACT approach SHOWS teachers how they can do this. Based on 5 layers of increasing activity the ACT model is a digital pedagogy for the modern age that is transforming how schools are teaching around the world. To find out more about this amazing approach watch the video below or read more here. He's called "The World's Best Teacher"
We live in a world of massive video content - almost 5,000,000,000 videos are watched every single day, on YouTube alone, amounting to 900 million hours per month - that's 102,739 years worth of video/month. It's crazy! It's no wonder that we are having binge watching issues that we've talked about before. Video feeds our consumption addiction, and sadly is often used as the primary way in which we engage our students in the classroom. However, if video is such an enticing medium, can't we use it more effectively? The first step is to understand your approach to teaching with technology. The ETA (Education Technology Assessment) model helps you identify the type of teaching you are engaged in when it comes to using technology in the classroom. There are two dimensions. The first is the content that can either be based around consumption or production, and the second is the learning approach which is either passive or active. Passive - Consumer (PC) : This is the most common approach to using technology in the classroom. This is where teachers use videos or ebooks, however the learning is often nothing more than passive consumption of content - much like it is without technology. Active - Consumer (AC) : Teachers sometimes realise how passive the PC approach is and try and make use of games or some apps in their teaching. However while these games often lead to more active learners, they typically do not result in any artefact being produced. Passive - Producer (PP) : Another route taken by teachers is using social networks or smartboards in the classroom. However while these may result in some form of artefact being produced, such as the content on the smartboard being printed, the student involvement is often passive at best. Active - Producer (AP) : The Active-Producer should be our goal when using technology for teaching and learning. Not only are the students active, and so realising all the benefits of active learning, but they also produce content which also has multiple benefits in learning. Why are we getting it wrong? It's not the teacher nor the technology that is to blame when it comes to being effective in the classroom. All too often I come across reports saying how technology is bad for teaching and learning. This is akin to saying that a knife is bad for cooking because a chef cut his finger. It's all about technique...not just the tools. Even the most enthusiastic amateur chef with the best equipment still needs a recipe to produce great food. So too for teachers with technology. The recipe we need is a digital pedagogy. The problem is that until recently there was no digital pedagogy, quite simply because we just didn't understand how our modern generation learns with technology. The @CTIVATED Classroom approach, the result of years of research, is a first of it's kind digital recipe (pedagogy) that is designed to guide teachers to be more effective with using technology in the classroom. The pedagogy shows teachers how they can shift their teaching from the less ineffective quadrants of the ETA model (PC/AC/PP) to the highly effective active-producer (AP) quadrant by teaching using the various layers from curation up to the higher layers of creation and chaos. So, we have an addiction for video content, but passively consuming content is not the most effective way to learn. So rather than consuming video content how about engaging your students in actively producing video content. There are so many ways this can be done (and I cover many of these in our online course). Here's an example of two videos created by students that show how powerful this pedagogy can be. Not only are students motivated as they become creative, but they have to carefully think through their content before creating the script. Additionally, the movie is an artefact that remains as a testimony to the students learning and also is a great tool for further conversation and even formative assessment. What a way to develop the "World's Best Students"! One of the best parts about the @CTIVATED Classroom approach is that it does not only apply to your students. We are all students after all. And so there is no reason why you can't also be actively creating videos rather than simply consuming them. Not only can you have the "World's Best Students" you can become the "World's Best Teacher". Watch this video for some real inspiration of what is possible. #ENJOY being an @CTIVIST! If you’re a student, teacher or parent, you might have noticed there is a massive push to use technology in the classroom these days. Hardly a day goes by that we don’t hear somebody talking about the digital curriculum, or computers in classrooms, or teaching coding in schools. But this push for more technology often misses the mark when it comes to improving educational outcomes. Just adding more gadgets to the classroom won’t necessarily benefit students. Rather, we need fewer gimmicks and more focus on what actually works. Schools are being forced to embrace computers. Unlike their “digital immigrant” teachers, these students are “digital natives”, born into a world where technology is an integral part of everyday life. Almost every student has access to a multitude of computers, laptops and tablet devices. It would be crazy to assume an assignment would not be written on computer in this day and age. Many schools now have a 1-to-1 computer policy, and many districts and states in the United States have mandated computers or iPads across the state for every student, including Los Angeles, the second largest school district in the country. But the thing is, when they tried it in LA, it wasn’t the success they hoped for. That’s because the tablets weren’t used as much as they expected. Rather, it appeared there was a gap between the digital native’s love of technology and their use of it in the classroom. This conflicted relationship with computers is also underscored by much of the literature on education. It is also highlighted in professional development and conferences such as EduTech. 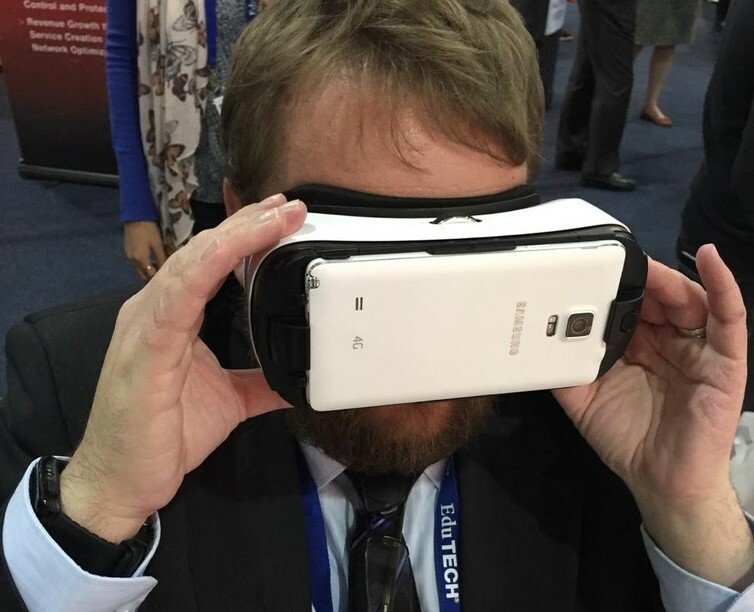 This was the second time I attended EduTech. It’s always fun to look at the technology being demonstrated and think about how it might be used for learning. There is usually a theme to the conference as well. Last year it was all about 3D printers. This year it’s all about digital collaboration. As I wandered around the conference, I got to play with lots of cool technology, including 3D printed gears, big touch screens that can be used for collaboration, automatic drawing robots and even a massive blow up tent with a projector pointed at the roof that AARNET uses to give a 180 degree view of the solar system. For me as a technologist, it was all endlessly fascinating. And it’s tempting to think it could all contribute to improving education. But as I wandered around, I wondered how these gadgets would genuinely benefit teachers and students? Sure the digital touchscreen might be fun to use, but how much support do teachers get to actually put this into the classroom? When I looked into it further, I found there are a lot of presentations on technology use, but not so many presentations on practical ways to integrate technology into the classroom that target individual teachers and their needs. If these teachers are “digital immigrants”, then how are they going to know how the digital touchscreen or the blow-up tent can be best used in their classroom, with their curriculum and their students? I’m not questioning the ability of teachers to develop good lessons; I’m questioning how they will be able to integrate technology into their class for maximum effect without a full understanding of the technology and what it is capable of? Google seems to have noticed this and has developed a program called Computer Science for High Schools – CS4HS – to address this. Rather than targeting students directly, this program targets teachers, introducing them to innovative new technology and helping them think about how that technology might be used in the classroom. The CS4HS is a terrific initiative, and it would be great to see more like it, but it’s ultimately supported by a technology company. When we are talking about technology in the classroom, we shouldn’t be putting the technology first. Instead, we should be putting the pedagogy first, finding a problem and solving it with technology, rather than bolting technology onto a classroom and hoping it solves some problem. But what we really need, more than anything else, is more educational technologists. This role combines a love of technology with an understanding of the classroom. So instead of demonstrating a new 3D printer, an educational technologist will talk to the teacher, identify a problem and then suggest a technology solution. No more shoving technology into classrooms like they did in LA; rather we need an approach where pedagogy comes first and technology follows. According to research the missing element is a Great Pedagogy. Without an appropriate teaching approach (pedagogy) the best teacher with the best technology will be ineffective, at best. The problem is that until recently there hasn't been a digital pedagogy teachers could use. Teachers, in the true spirit of teachers, just roll up their sleeves and give technology a try. Yet, sadly this has led to many failed attempts. However, now for the first time there is an easy-to-implement, research-based digital pedagogy - The @CTIVATED Classroom approach. This world-leading approach, which has been featured on TV and radio, and reported on in international newspapers and journals is making a huge impact on schools. And now you are invited to attend the first online MOOC for the @CTIVATED Classroom. As an introduction to this ground-breaking pedagogy, we will be running a 3-week online MOOC course for teachers. The course will introduce you to the key elements of the @CTIVATED approach, and in addition give you free entry into the complete 100+ lesson @CTIVATED Classroom online course. The course commences on the 27 June, and runs online for a period of 3-weeks. This is an ideal opportunity to get warmed up into this amazing approach to teaching with technology, plus get free access to the complete course which you can complete in your own time. ​Besides and already discounted price for this course, there are some great early-bird offers for those who book quickly! So head on HERE TO FIND OUT MORE AND BOOK YOUR PLACE NOW. Good News: If your school is a registered @CTIVATED Classroom school you can attend this MOOC for FREE. Simply select the "@CTIVATED School Teacher (FREE)" option on registration. : To equip teachers with the skills to use technology to teach effectively. - Practically transforming our teaching with a new approach...and lots more! Why this course? 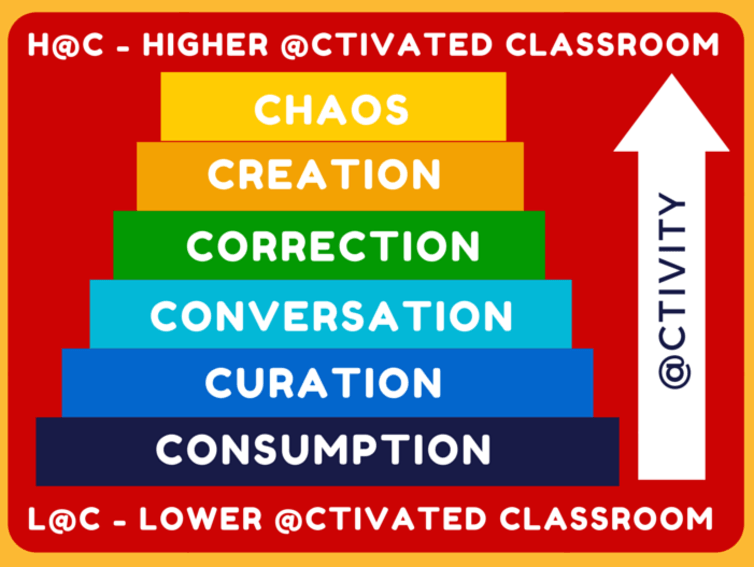 The @CTIVATED Classroom Model is a first-if-its-kind digital pedagogy, based on years of research. The approach is already being used by many of SAs top schools. It has also been discussed on radio, and TV, reported on in international newspapers and journals. It is the first research-backed, easy-to-use, approach for teachers! This MOOC provides the perfect guided kickstart into this new approach. What YOU get: Online attendance of the 3-week MOOC, PLUS free registration on the entire @CTIVATED Classroom Online course (100+ lessons) and extra bonus courses (Social Media Safety, Intro to Programming) PLUS a certificate of completion. Course Delivery: This course will be run online through Edmodo and some live chatroom sessions. This means you can go at your own pace, focus on your own grade/subject, work at times that suit you, get more or less support (as you need). Course Timing: The course runs over 3 weeks from 27 June - 15 July. Each week students will learn through self-paced activities. Activities will require approx. 6 hours/week from students. "inspired me to go and play with education"
The problem Solow had identified was that while computers could automate manual processes, real productivity gains would only be experienced when technology was actively used to reinvent business processes. The best businesses soon realised that computers were not just a tool to improve efficiencies but to redesign business processes. This sort of thinking has given rise to many modern innovative businesses like Twitter, Uber and Airbnb. Now schools are falling into the same trap as businesses did 30 years ago. They are focusing on the wrong objective when it comes to using technology in their classrooms. Is technology a “nice to have”, or will it actually improve the learning and educational outcomes of the youngsters in the class? If it doesn’t, or won’t, there can be little justification for it. On face value this seems like a good question to ask. But it contains two dangerous flaws. The first is that visible “improved…outcomes” is presented as the main reason for using technology. The second is assuming that the relationship is just between “technology” and “improved learning”. The writer, from an organisation representing school leadership, went on to list the advantages of using educational technology, using phrases and words like, “Time is freed up”, “convenience”, “ease of handling”, “efficient way of collecting and storing information” and “immediate access”. These phrases point to the underlying perspective that many teachers have about the goal of technology in the classroom. It is seen as a means to improve classroom efficiency. This perspective also pervades students' perceptions. A research project just completed by one of my Masters students, which we hope to publish soon, found that 92% of students listed technology providing “improved access to information” as a key reason for using it for learning. While businesses might be excused for initially adopting an efficiency objective when it comes to technology, schools cannot. This objective has already been shown to be ineffective for businesses. More importantly though, efficiencies – unlike for business – should not be the objective of successful teaching. British educationist and author Sir Ken Robinson has famously called on schools to abandon the efficiency-driven, industrial paradigm. Schools have lauded the rise of a new era in education that celebrates diversity, opportunities and innovation. However, most are actually using technology to reinforce these same industrial approaches rather than revolutionising the classroom. Pursuing efficiencies to get students through more content, faster and with less effort, is the wrong objective. The focus should be on effective rather than efficient teaching. Technology is not just about computerising existing processes – it is about rethinking ways to teach and learn. The second flaw in the letter-writer’s question is the mistaken assumption that technology is the only factor that has an impact on learning. This makes the serious mistake of ignoring pedagogy, or ways of teaching. There is a framework that sets out how this can be avoided. The TPACK model argues that there are three key elements for effective teaching with technology - Technology, Pedagogy And Content Knowledge. Teachers know their subject content and increasingly know how to use technology. However, without the “glue” of an appropriate pedagogy or method, technology can’t be effective in teaching content. But many schools seem to assume that the technology vendors whose solutions they’ve implemented will be their teaching guides. It’s rather ironic to have teachers led by technologists! Other schools simply ignore teaching approaches, assuming by handing out iPads effective learning will spontaneously take place - leading to some spectacular failures. The key to effective technology-based teaching is effective technology teaching approaches. Simply copy-pasting traditional approaches is ineffective. This is confirmed by research that I completed recently, which found that digital teaching methods must revolve around active learning approaches to bear fruit. Technology affords opportunities to move from traditional passive consumption learning to active approaches. These include curating content, engaging in conversation and developing content through iterative cycles of correction. Such approaches form the basis of what I call the @CTIVATED Classroom model, which is designed to support those who are teaching with technology. The letter I quoted from earlier concluded that, “Staff must be taught to use the technology.” Only part of this is correct: they must be taught how to teach with the technology. If this is ignored, educational technology will entrench the very approaches we were trying to change. I recently wrote an article that explored the impact of the current trend of binge watching on students' learning. The bottom line is that we are becoming a consumption obsessed society - a society that would far rather indulge in passive consumption that active production. The research by Common Sense Media found that 41% of a teens 9 hour tech day (yes, that's more than they sleep) is spent on passive consumption. Now Netflix, a cultprit in this rising scourge, has revealed that there is a group of people who are not just binge watchers, but extreme bing watchers. That's scary! These people are so consumption focused they will watch an entire series, minute for minute, without a break. The impact of all of this is that we are increasingly becoming a content consuming generation. This is made worse by schools feeding this habit by encouraging passive engagement with technology, like watching videos, or playing games. That is not to say that these technologies can't be effective. However, if we are using technology in our classrooms simply to keep attention, we are doing little more than feeding a binge habit that will do little for developing key cognitive skills. Motivation without pedagogy is entertainment! Technology offers amazing opportunities to engage students in learning - not through passive consumption, but through active engagement like conversation, curating, creating content etc. This is where the power of a digital learning approach lies. Here's hoping we won't be seeing extreme binge watching schools soon!